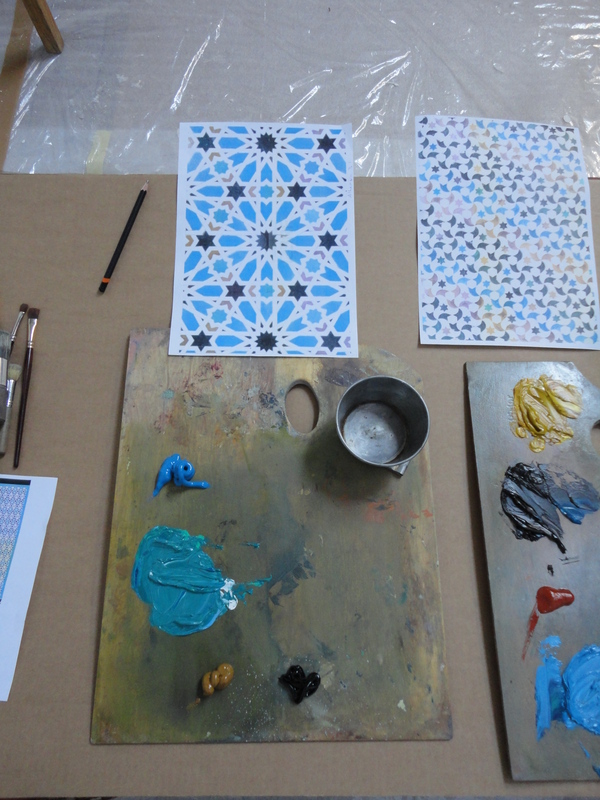 When I look at art in museums and galleries I almost always wonder how it was made, how long it took, what the artist’s studio smelled like… seeing the finished result is only one piece of the process. 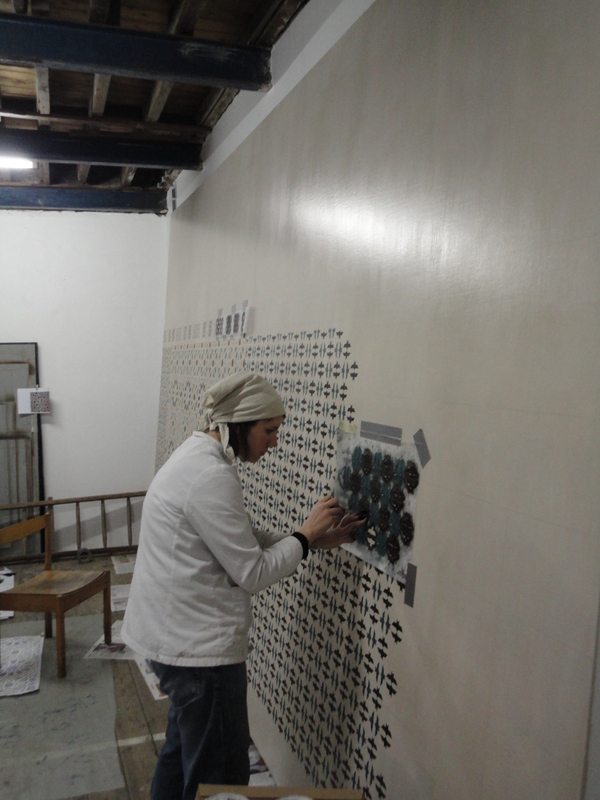 I feel very lucky to be a part of this process when assisting Lucy McKenzie in her large-scale artwork. 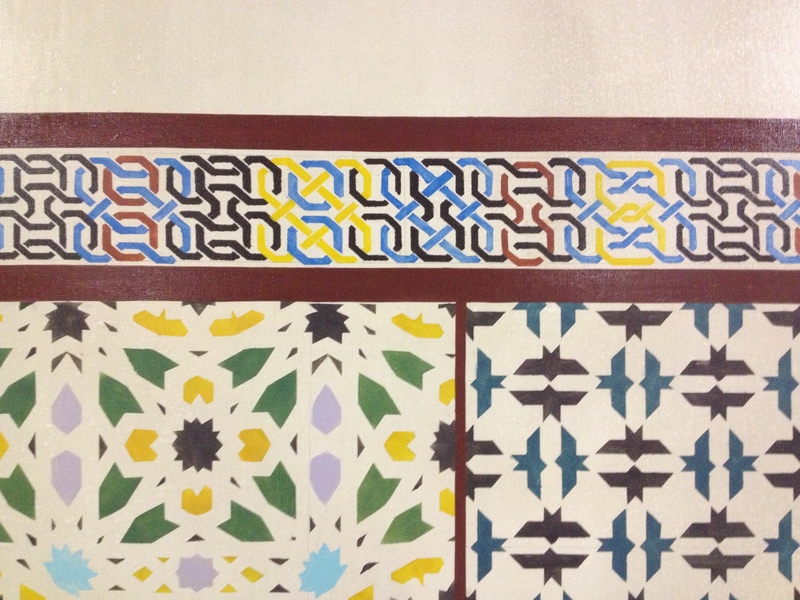 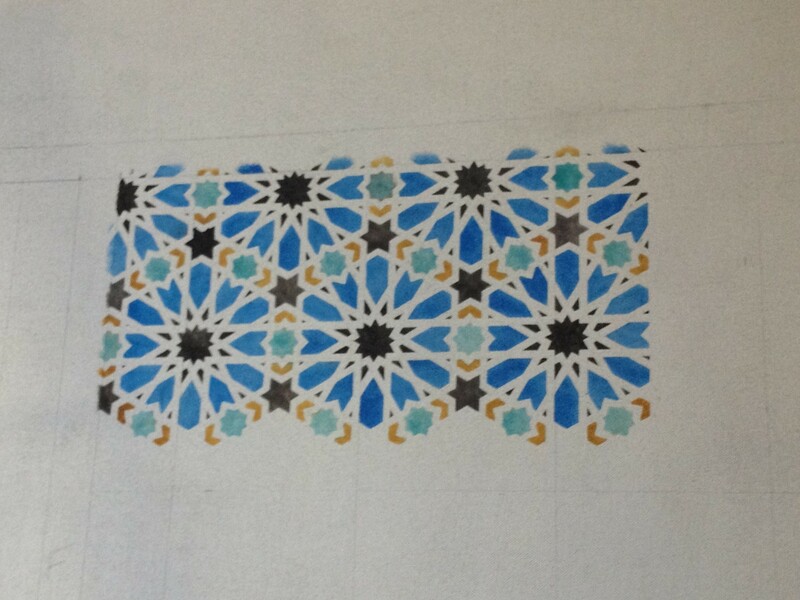 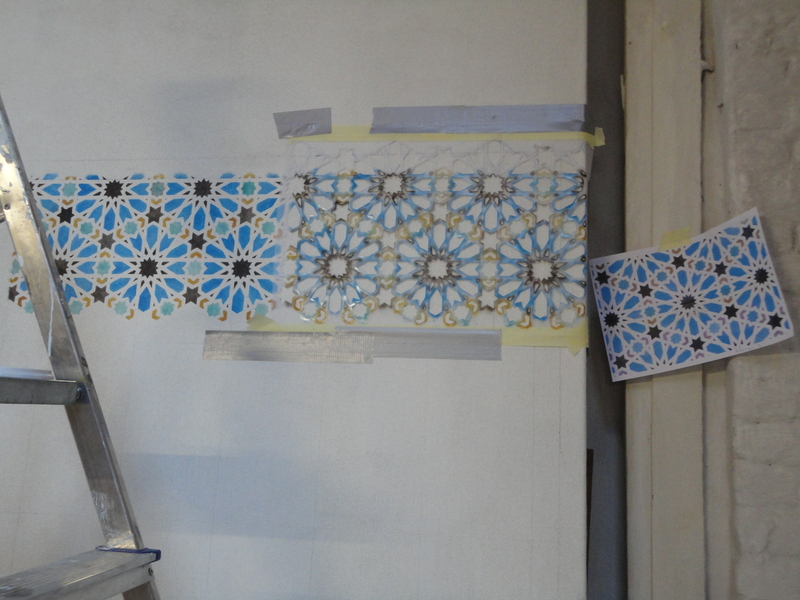 In February 2013 I spent some time in Lucy’s art studio in Brussels painting Alhambra inspired stencils on to giant canvases for her upcoming show in Amsterdam. 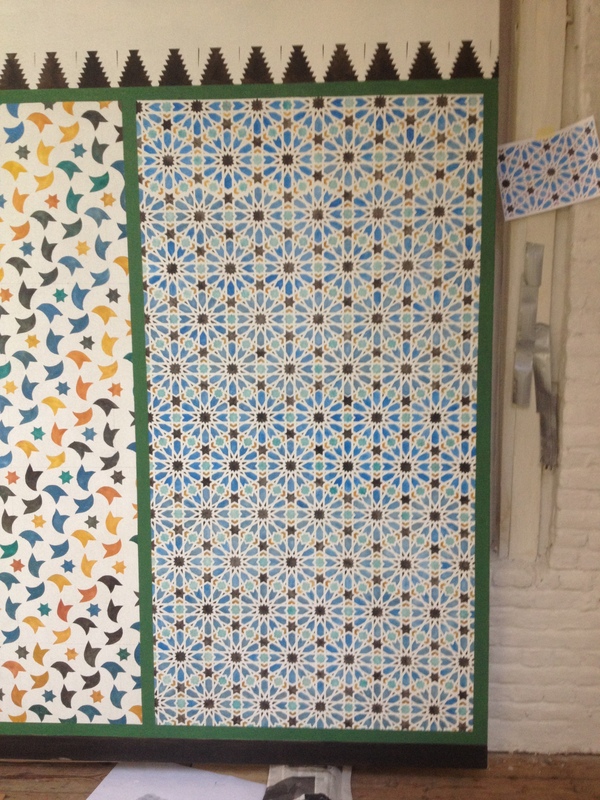 It was hard enough not to make any mistakes (some patterns have complicated colour combinations), but laying each individual tile must have been a completely different experience for the original artisans. 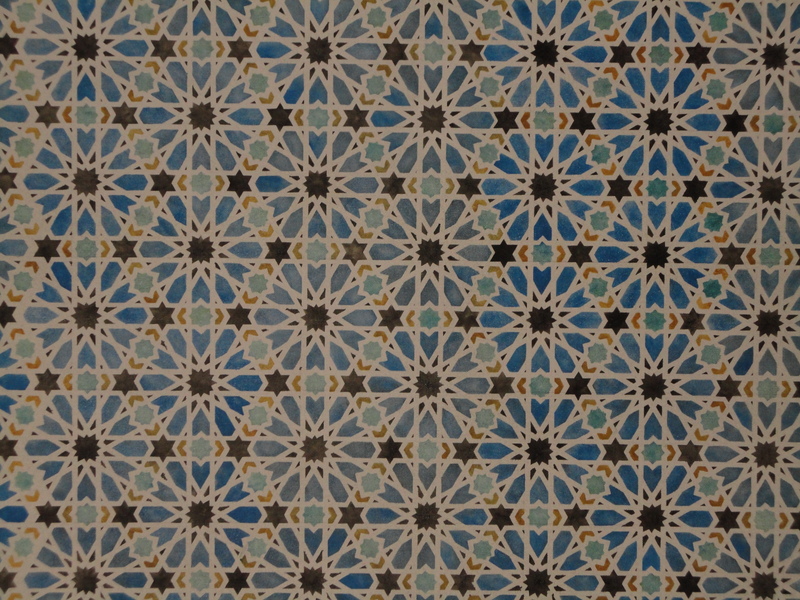 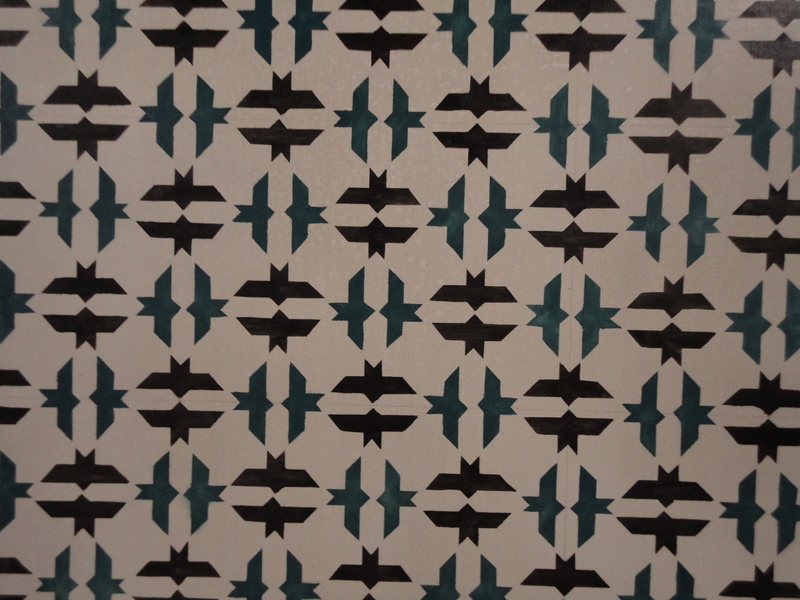 I can only imagine what the talented craftsmen were thinking while creating these amazing tessellations. 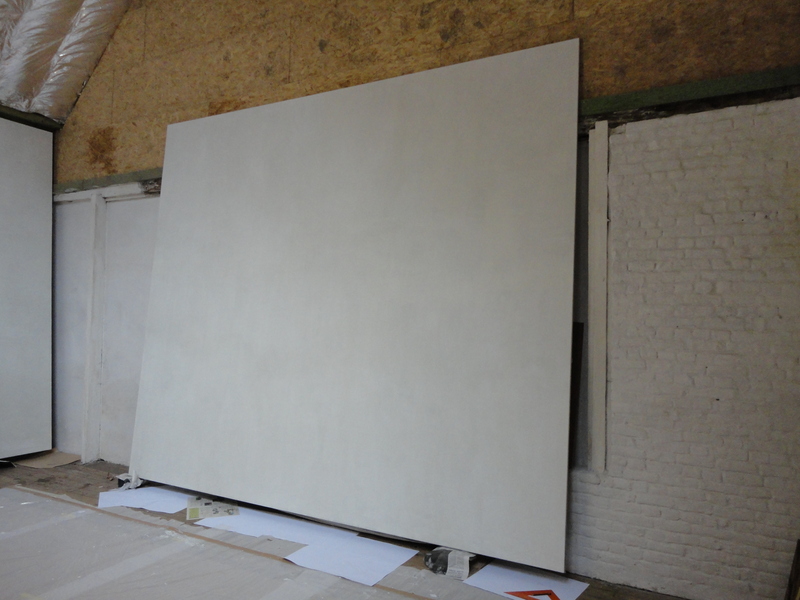 These oil paintings are only one element of Lucy’s solo show at the Stedelijk Museum in Amsterdam. 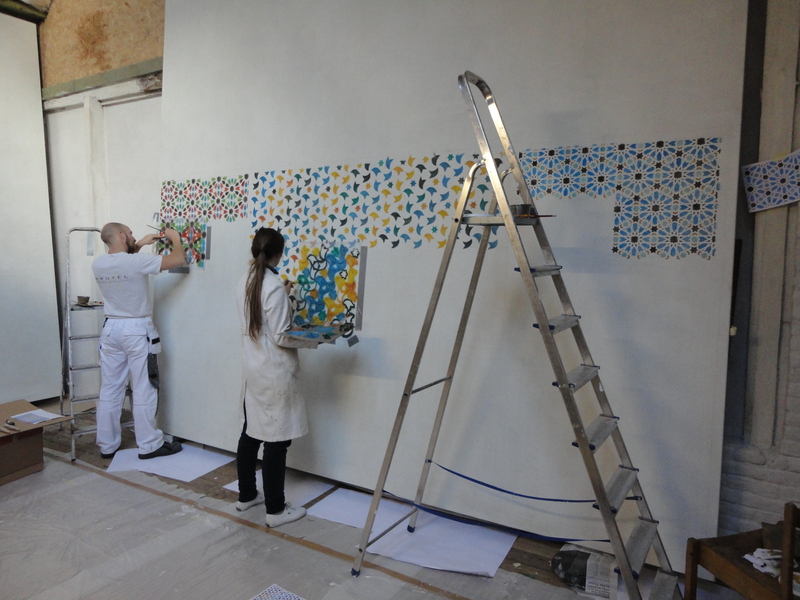 I look forward to seeing them in-situ alongside the massive faux-marble blocks we painted too. 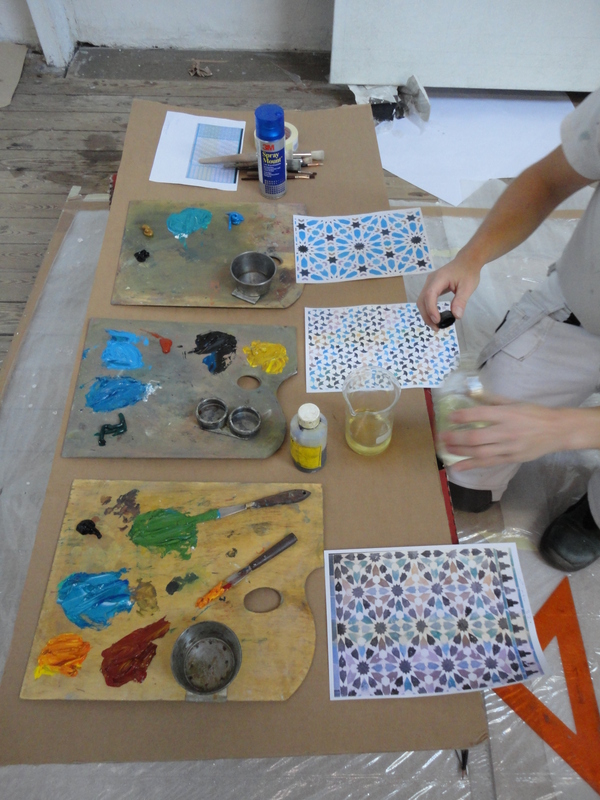 Here are some photos of the painting process so that you too can have a glimpse behind the scenes.